Mr Robert Albert Adams (known as RA Adams) was the next to follow John Milroy in the mayoralty taking up the position in August, 1883, when Milroy resigned. Adams was already a Councillor being one of the original members in 1881 and preceding this had been on the Town Board from 1879. He became one of the longest and continuously serving council members being on it for 22 years from its inauguration till 1903 shortly before his death. His term as Mayor lasted from 1883 to the end of 1888 and again for a year’s term in 1894. He resigned in December and had only two months off the council before coming back again as a councillor replacing Mr Balmforth in March, 1895. Mr Adams had been born in Vale of Clywd, Wales where his father was a Methodist minister. He had been educated in Flintshire and his first job was as apprentice to the drapery business in Liverpool. 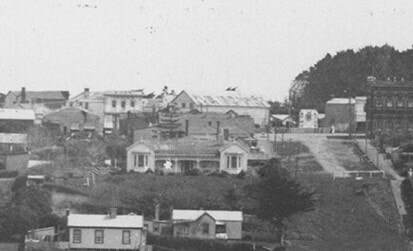 He first came to New Zealand via Melbourne and headed for the Otago goldfields in 1862. This was followed by service in Waikato including the skirmish at Orakau, and he first took up land in the Waikato, then moved to Canterbury and thence back north to Wanganui with the military. In 1868 he was in the Armed Constabulary in the Patea District. 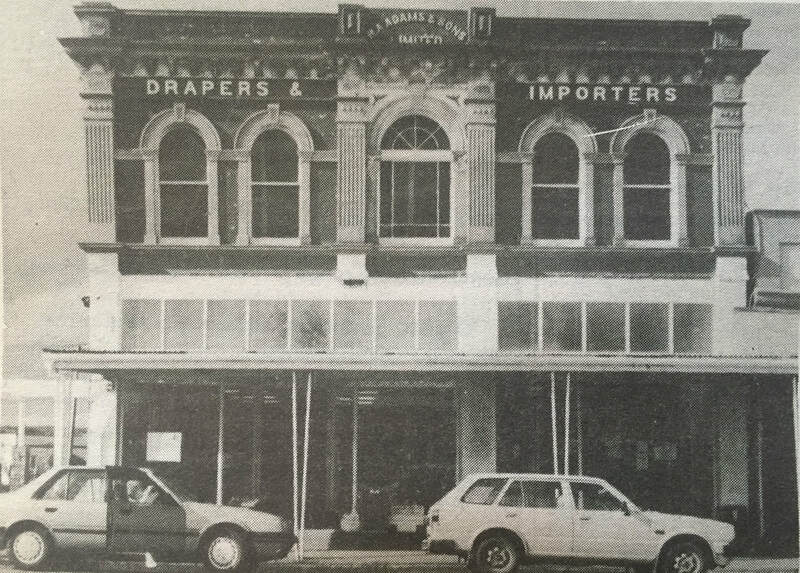 After cessation of hostilities his early expeience in the drapery business and appreciation of the wants of the pioneers from his movements around the countryside decided him on his future business. He catered for the scattered population, packing his goods from place to place around the district. 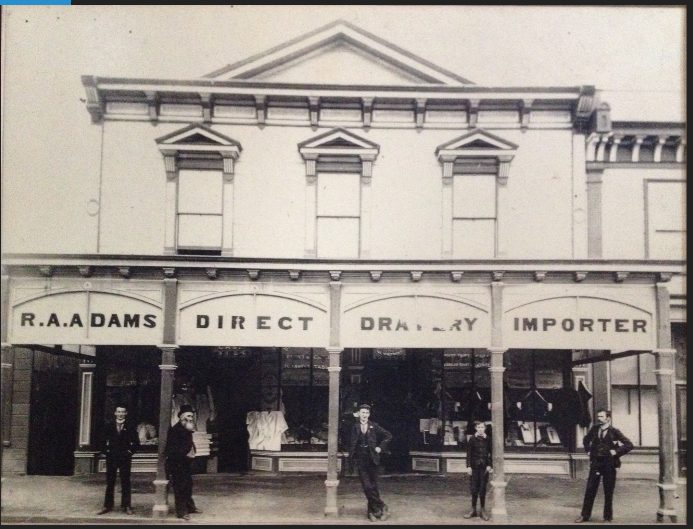 Finally he setup a shop in the main street of Patea and established the well known drapery business of R. A. Adams. By 1874 he was operating from the RA Adam’s & Sons building he built on Egmont St. This was extended after his marriage to Tasmania Smith in 1875 (daughter of Daniel Smith, Patea Brick maker), they lived in rooms above the shop until their first residence at 29 Cambridge St was built. During January 1884, while he was Mayor of Patea, RA held a huge gathering of leading Maori Chiefs, including Titokawaru, & 3000 followers in the area behind where the Canoe is now. Titokowaru & seven other Chief's went to the Adam's family home at 29 Cambridge St for lunch that day. R. A Adams took on many local activities in addition to his business and his Borough Council work. He was appointed to the Patea Harbour Board in 1877 for several years and was involved in the first harbour improvements scheme. He was an original member of the Patea Domain Board in 1881. His interests also involved education so that he was a member of the School Committee representing Patea on the Wanganui Education Board for some time and was chairman of the school committee for eight years. He was also instrumental in retaining the local hospital when the County Council relinquished control and there was danger of its closing. Adams called a meeting of townspeople and got the committee appointed which carried it on until a Hospital and Charitable Aid Board was established in October, 1885, while he was mayor. He was chairman of this board for eight years from its inception. Other activities included chairmanship of the Board of Directors of Hurleyville Dairy Factory Co. And he was a J.P. from 1883 and on the Licensing Commission in 1888. He joined the Patea Kilwinning Masonic Lodge in 1894. Altogether “old R. A.” played a considerable part in the establishment and development of Patea and his family remained there to carry on the business. R A Adams died on 5 November 1904. 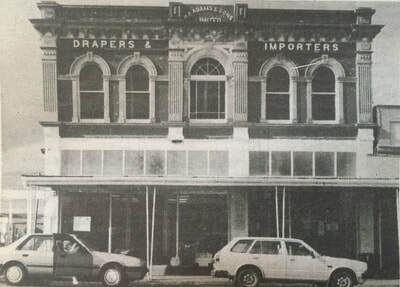 The new 2 storey brick RA Adams Store was built next to the old timber building in 1905 and the business relocated there. On Tuesday 17 September 1907 the old timber RA Adams building burnt to the ground. Mr Harkness was renting half the premises, and lost everything, fortunately the new Brick RA Adams building deflected the fire, and all was safe. Dressmaker Madame de Rienzi who lived upstairs also lost all her possessions and clients work. 'Bryn Avon' remained the Adams’ home until Tasmania Adams death in 1949 after 45 years of widowhood. Their daughter Edith and family shared the home with Tasmania and her father Daniel Smith resided with them too until his death. R A & Tasmania Adams are buried at the Patea Cemetery with a large, beautiful granite oberlisk to mark their plot.